Hello everybody.. It's Jan here from handcraft hobby. 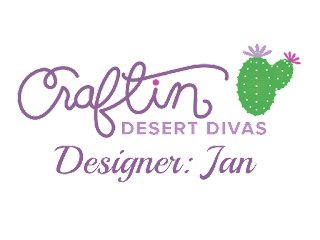 I am glad to be back here on Craftin Desert Divas Blog today sharing with you my little project showcasing Greeting Word Dies and Tiny Sentiments stamp. 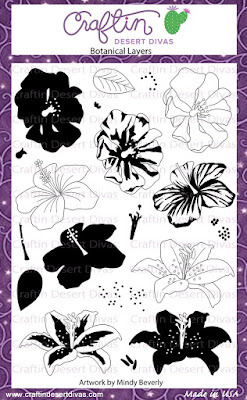 First I selected the 3 outline flower stamps from Botanical Layers stamp set. 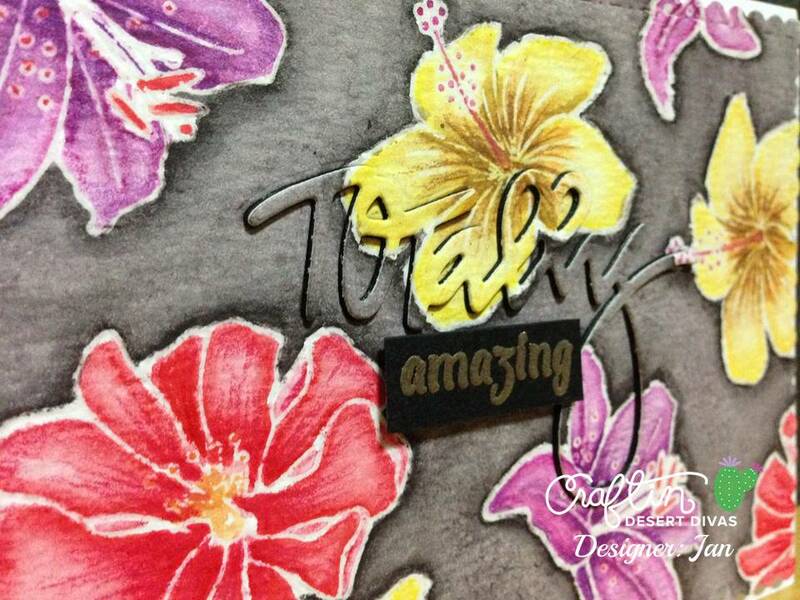 I stamped and heat embossed with clear embossing powder onto the textured side of watercolor paper. 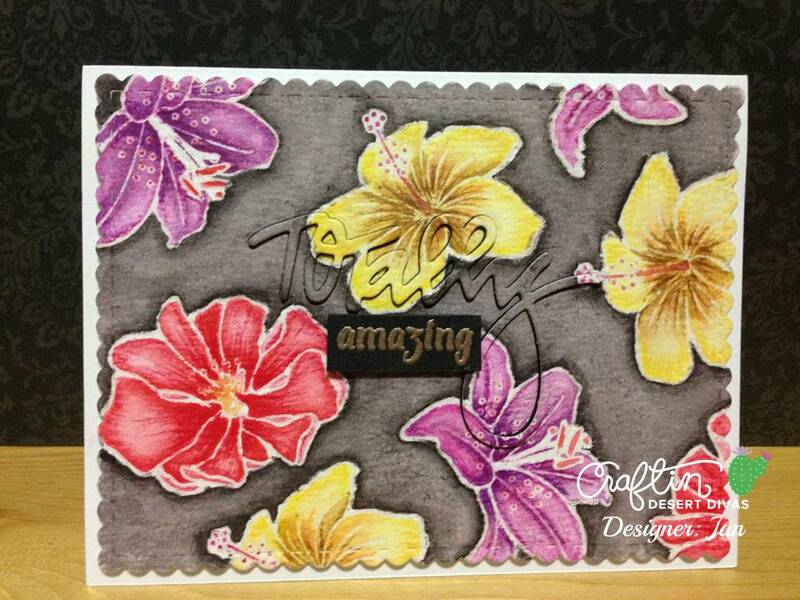 I then began to color using inktense color pencils. I did layer the base coat of light colors and built up my dimension by laying darker colors on top. Same way I did for the dark grey background. After my watercolor panel dried, I cut it with Fancy Frame Die. I then took the word "Totally" from Greeting Word Dies and cut at the center of my panel. 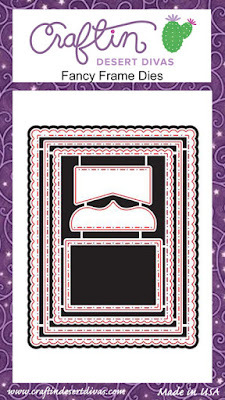 I also cut 4-5 pieces of Totally word die from black card stock and stacked them up all together then my top piece would be the watercolor piece. 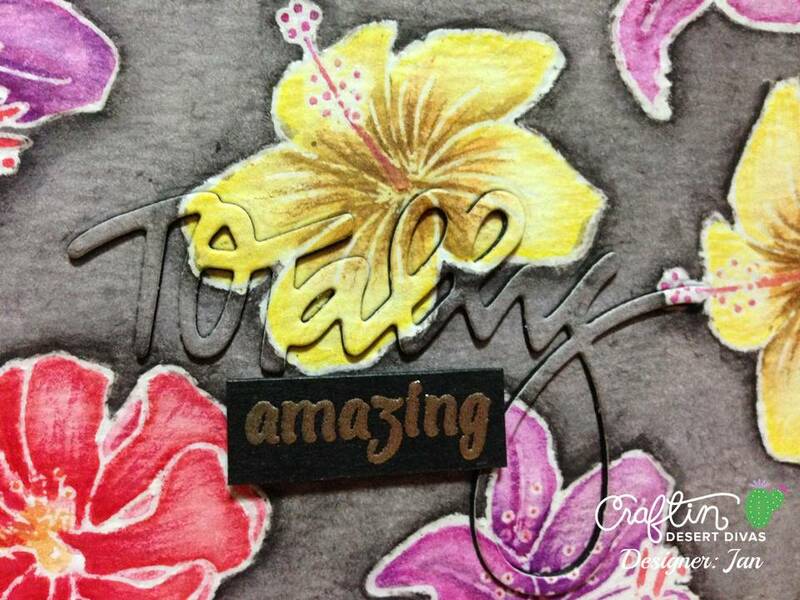 I also heat embossed the word "amazing" from Tiny Sentiments Stamp on black card stock. I used double sided tape at the back of my watercolor panel and then turn over to the front to put my dimensional word Totally on top of it like jigsaw puzzle. I then attached the "amazing" word with form tape and put under the diecut word. And everything onto my white card base! and it's done! 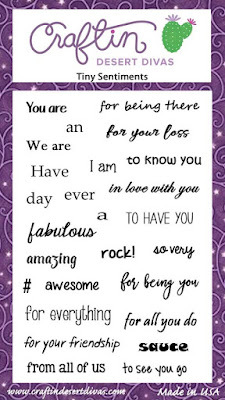 Thank you for stopping by today and I wish you a Wonderful day!